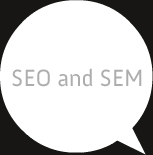 Search Engine Optimization(SEO) and Search Engine Marketing(SEM) play a major role in search engine rankings. We design a Clear SEO strategy for your website, and communicate the same with you. We will arrive at a mutually agreed upon deliverables and time frame. We only use proven, ethical, spam free SEO principles that will bring in long term benefits to the website. Maximization of your return on investments from our SEO services. Link building- through blog articles, whitepapers, comments, and content updates for more site traffic. Bookmarking and tagging- through appropriate tags and notes, for making your website popular. Customized content- Contents are made into audio, PDF formats and video formats. Portable contents of this nature are then submitted to related websites for sharing. Continuous monitoring and analysis- monitoring progress and suggesting tips to improve the social media marketing campaigns. Integrating applications- integration of applications like Google Maps with your site. Creative marketing- introduction of informative contents and creative marketing strategies for better site traffic.